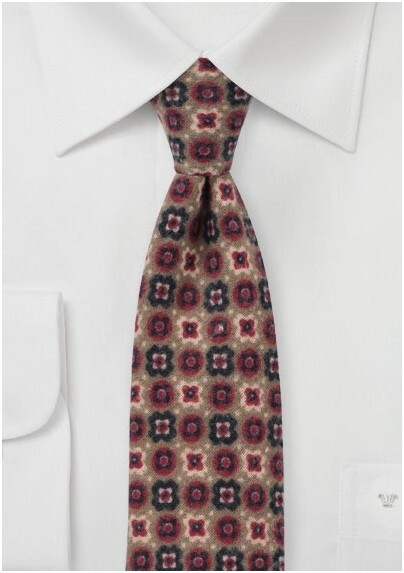 A truly unusual cotton flannel tie by BlackBird! The vintage medallion print is combined with an autumn palette of olive brown, burgundy, sand, and midnight blue. 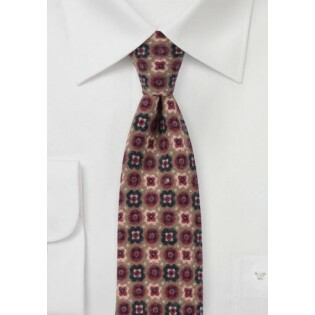 A great tie even when not wearing a formal suit but a more casual cardigan, vest, or down jacket instead. Made by hand in slim width of 2.75 inches. Fabric: Printed Flannel Cotton | Length: 58", Slim Width: 2.75"